CYNCART allows you to Synchronize a Commodore 64 to a Nintendo NES in order to use both systems as a Synthesizer at the same time. 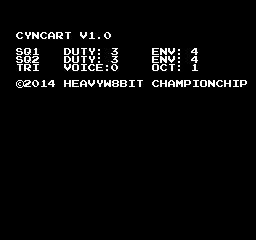 First step of the project was to modify Cynthcart so that data is sent out of the user port on the C64. Cynthcart allows you to play upto three voices at the same time, however only data for the first two voices gets sent out of the C64. It became too buggy when I tried to sync all 3 voices. Connection is made from the C64's User Port directly to the 4021 chip in NES Controller 2. Controller 1 is programmed to adjust the sound settings on the NES. Since data for 2 voices are coming into the NES, you can use either 2 Square channels, or 1 Square and 1 Triangle channel. For the two square channels, you can set the Duty and Envelope of each channel. By default the Triangle channel plays an octave below the Square channel, however you can raise it an octave so that it matches. You can also select if the Triangle channel is voice 1 or 2. 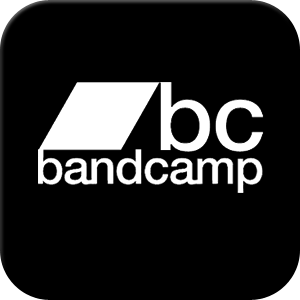 Join the Email List to be notified of any future updates on this project.